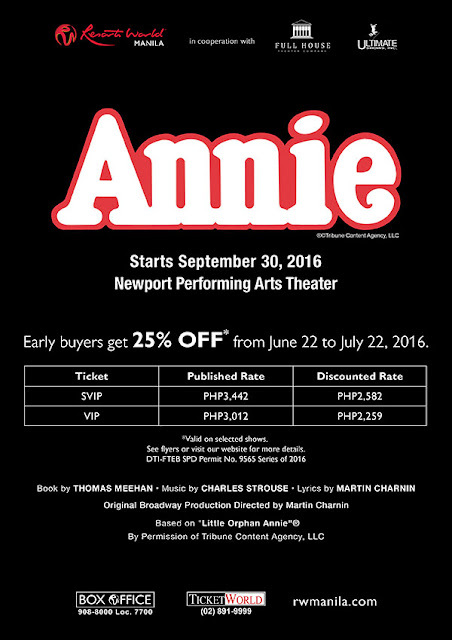 This September, the country’s premier entertainment and tourism destination Resorts World Manila (RWM) presents its seventh major stage production—the beloved family musical ANNIE. Early buyers get 25% OFF* from June 22 to July 22, 2016. *Valid on selected shows.